Brammo have announced that following extensive evaluation by multiple departments of the Hong Kong Government to explore the adoption of more electric vehicles for public sector use, the Hong Kong Government has selected Brammo electric motorcycles to replace existing conventional petrol motorcycles in the Government fleet which have been in service for several years. Craig Bramscher, CEO and Founder of Ashland, Oregon-based Brammo Inc. said, "This is a significant milestone in the adoption of electric vehicles by governments. As the world's leading manufacturer of electric motorcycles, we were confident that we would lead this change and we are delighted that we have started here in Hong Kong with some of the most EV-engaged leaders in the world." The Brammo Enertia Plus motorcycles will be driven year-round by engineers in the Water Supplies Department to reach district service locations, while the Hong Kong Police Force will employ the 2012 Enertia Plus LE to conduct traffic duties in various city districts. 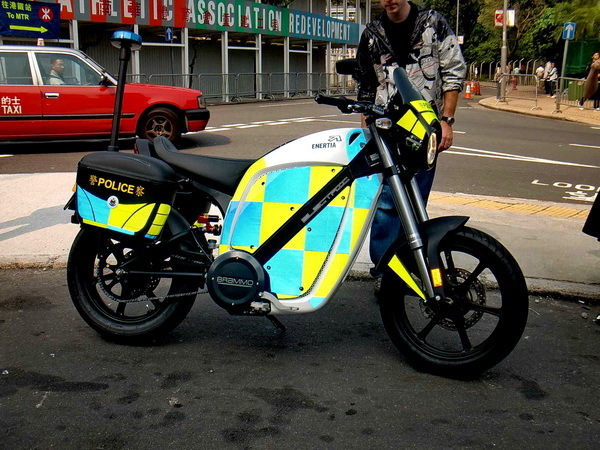 The Enertia Plus LE (Law Enforcement) is based on the Brammo Enertia Plus civilian model, but is equipped with special features that tailor it for authority patrol use. All vehicles will be supplied through Brammo's exclusive dealer in Hong Kong, JCAM Advanced Mobility Company Ltd. (JCAM). 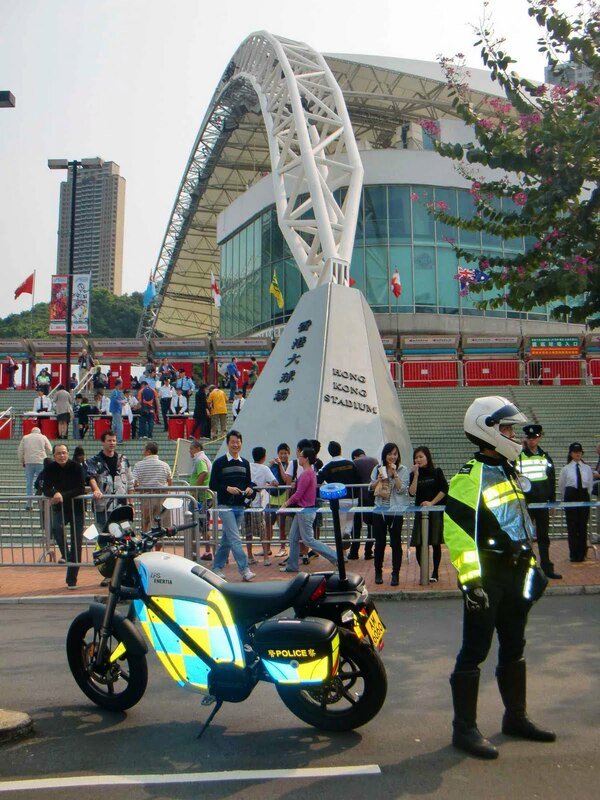 "We are enthusiastic about strengthening our relationship with the Hong Kong Government through the supply and support of premium performance electric motorcycles to help them achieve vehicle emissions reduction initiatives," said Matt McGuire, Managing Director, JCAM. Brammo's first-in-class product has garnered widespread attention and support since its initial introduction to Hong Kong streets over one year ago. Among its early advocates was Secretary of Commerce Gary Locke, who admired the Enertia Plus at an all-U.S. Electric Vehicle Showcase over which the then-Secretary presided in May 2010 at Hong Kong's Disneyland, as part of the Clean Energy Mission he led to Hong Kong and mainland China. "The U.S. Foreign Commercial Service is pleased to see that a leading U.S. electric vehicle manufacturer such as Brammo is supplying its world class products to the Hong Kong Government. Hong Kong plays a unique role as a regional trendsetter and commercial hub, and the Hong Kong Police Force, in particular, enjoys a sterling international reputation, so I am confident that this contract represents but the first of many future sales for Brammo and other U.S. electric vehicle manufacturers," said Andrew Wylegala, Chief Commercial Consul of the American Consulate General in Hong Kong.